Are you a Tesla fan and want everyone to know it? Well, we have found the perfect Christmas gift for you. What we have here is a Powerbank designed by the electric automaker for your smartphone. 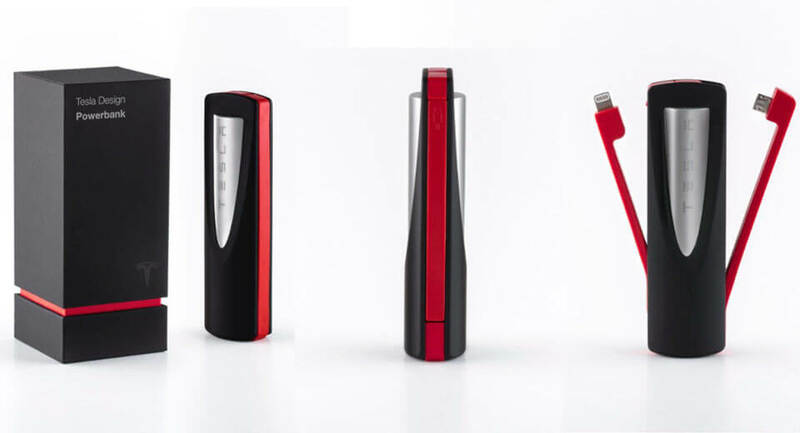 Priced at $45, the Powerbank takes design inspiration from Tesla’s supercharger monument at the Tesla Design Studio. Without a doubt the coolest thing about the Powerbank is that it features a single 18650 cell with a 3350 mAh capacity, exactly the same battery cell used by both the Tesla Model S and Model X. The only differences is that the Model S and X use about 7000 of them. Additionally, the Tesla Powerbank is suitable for all recent iPhone models and micro-USB equipped smartphones thanks to its integrated cables. Santa should expect to see tech-heads requesting the Powerbank in their droves.